Limoncello tastes like summer in a glass. 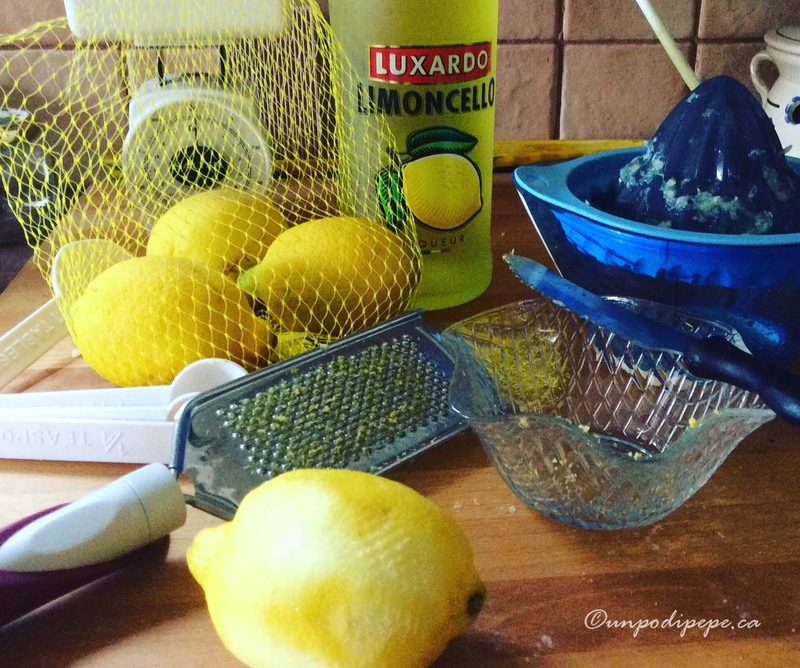 What could be even more refreshing than a nice cold glass of Limoncello? 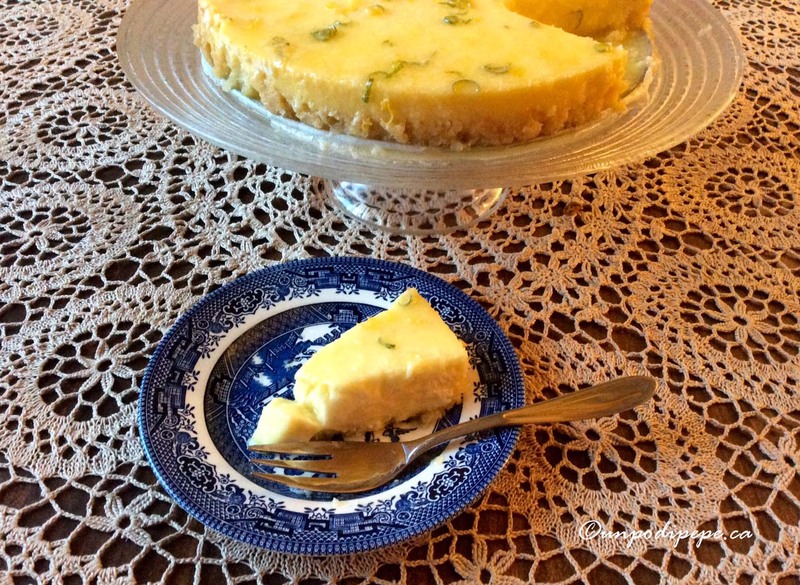 Limoncello Cheesecake of course! I’ve been making it for years and every time I am asked for the recipe, so I thought I would simplify things and share it here on my blog. The coconut crust makes it taste even more summery! I like to add a small amount of lime juice too, but you could just add more Limoncello. This cheesecake tastes better if made a day ahead of time so it spends more time in the fridge. If you are looking for cream cheese in Italia, it’s known as ‘Philadelphia’, pronounced Fee•la•del•FEE•ah. Buon Appetito! Crust-Preheat oven to 180° C (350 ° F). Combine ingredients and press onto bottom of 22-25 cm (9-10 inch) springform pan. Bake 10-12 minutes until lightly toasted. Be careful not to burn the coconut. Filling–Blend cream cheese until smooth. Add sugar, then eggs, one at a time. Add juices, rinds, salt and Limoncello. Make sure there are no lumps and pour over toasted crust, smoothing the top. Bake at 180° C (350° F) for 45 minutes or until set. Turn off the oven and leave cheesecake in for another 10 minutes. Open the door and let cheesecake cool in the oven for another 10-15 minutes. This will prevent the cheesecake from ‘falling’ or cracking all over the surface. Run a knife around the rim of the pan and continue to cool at room temperature, then chill in refrigerator. Topping-Whisk eggs until foamy. Combine with sugar, juices, rinds and butter in a small saucepan. Cook over low heat, stirring constantly until smooth and thick. Remove from heat and add Limoncello. Let cool and then spread over cheesecake while the springform pan is still attached. 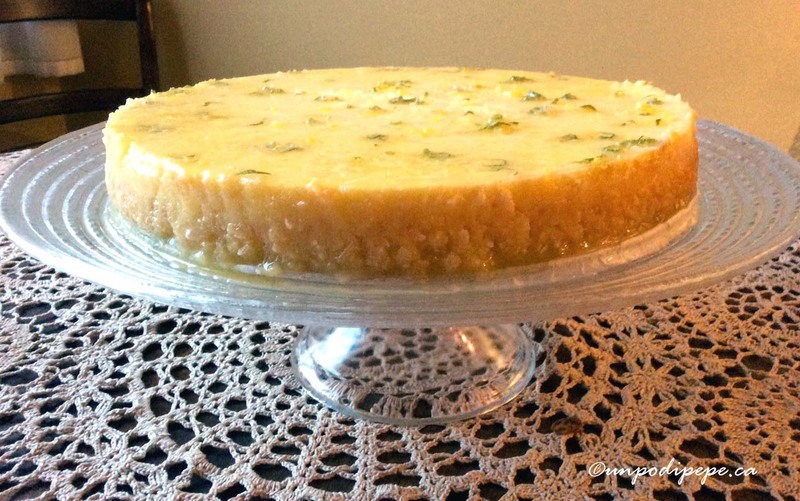 Garnish top with coconut and coarsely grated lemon and lime zest. Return to refrigerator for at least a few hours. Serves 12-16 people.